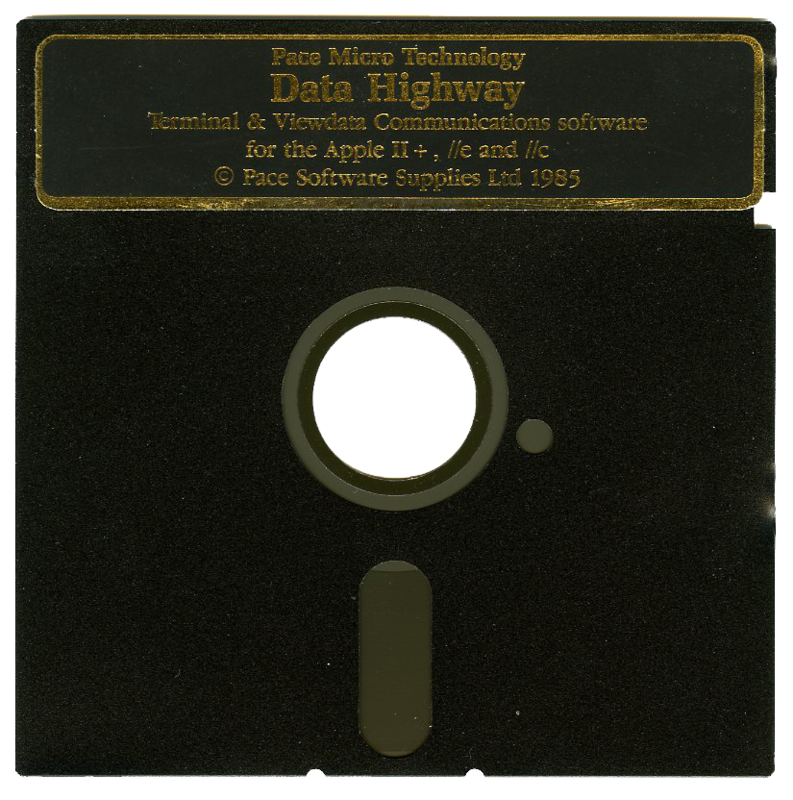 Originally released as Data Highway™ in 1985 in Europe, Antelope is the Freeware version of this venerable telecommunications program. Antelope is an integrated communications program running under the DOS 3.3 disk operating system for the Apple ][, //e, and //c computers. When used in conjunction with a suitable serial interface and modem, it will allow you to use your Apple computer as a general ASCII Communications or Viewdata Terminal. Antelope enables the access to bulletin boards and public data networks, and systems which utilise the DEC VT100 standard. Antelope’s user-to-user communication capability is exceptional, and the user friendliness of the program is unrivalled. Antelope supports transmission of file transfers either by spooling, Xon/Xoff flow control, or by Xmodem protocol. It also has a large storage buffer to capture and preserve incoming and outgoing data. There are a host of features which may be configured to individual user requirements. The configuration of the program is saved to a disk file, and is restored the next time the program is run. 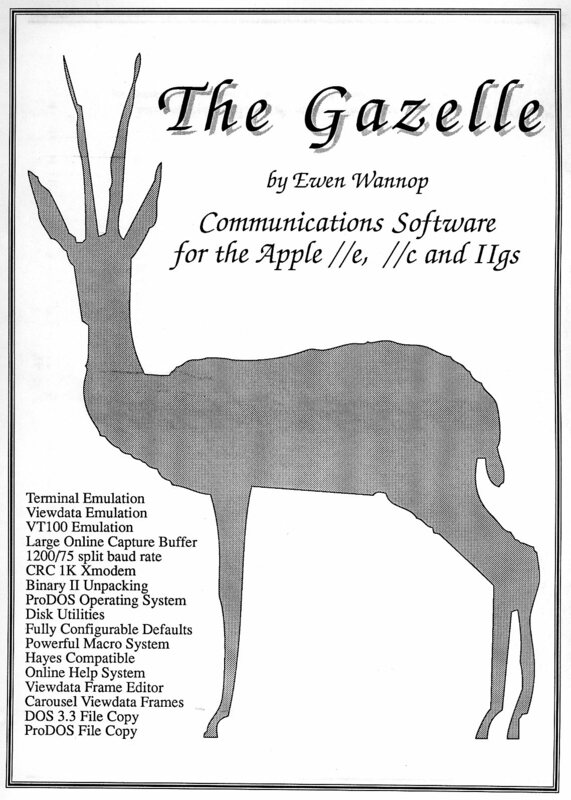 Gazelle, is an integrated communications program running under the ProDOS disk operating system for the Apple //e and //c and IIGS computers. It was originally commercially sold in the UK and Europe, but is now Freeware. When used in conjunction with a suitable serial interface and modem, Gazelle will allow you to use your Apple computer as a general ASCII Communications or Viewdata Terminal. Gazelle enables the use of bulletin boards and public data networks and systems which utilise the DEC VT100 standard. Gazelle’s user-to-user communication capability is exceptional, and the user friendliness of the program is unrivalled. Gazelle supports transmission of file transfers either by spooling, Xon/Xoff flow control or by Xmodem protocol. It also has a large storage buffer to capture and preserve incoming and outgoing data. There are a host of features which may be configured to individual user requirements. The configuration of the program is saved to a disk file and is restored the next time the program is run. Gazelle fully supports Hayes protocol modems, and offers a powerful and extensive Macro system which can auto-control many of the repetitive functions that are required in modern communications.